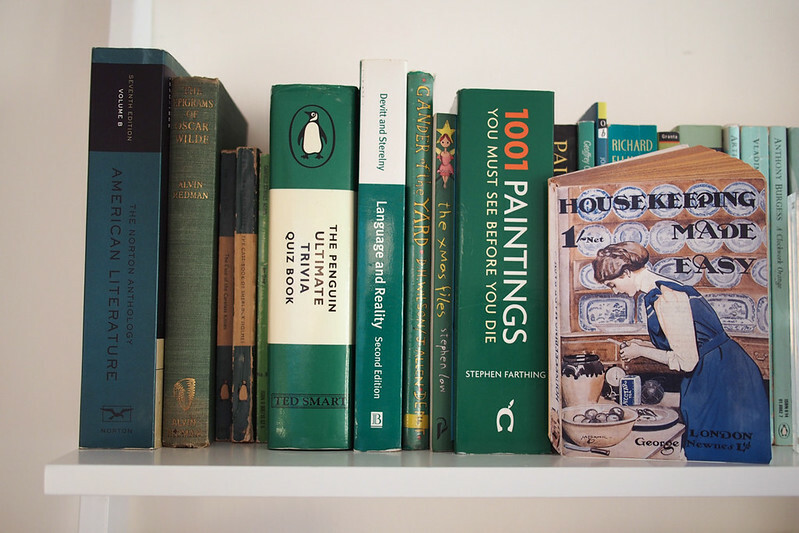 My sister Natalie moved into her new flat a couple of weeks ago, and an Instagram I took went down well so I thought I’d share a few more photos, along with the housewarming gift I made her. I have house envy to be honest, it’s making me want to move and start over with ours! 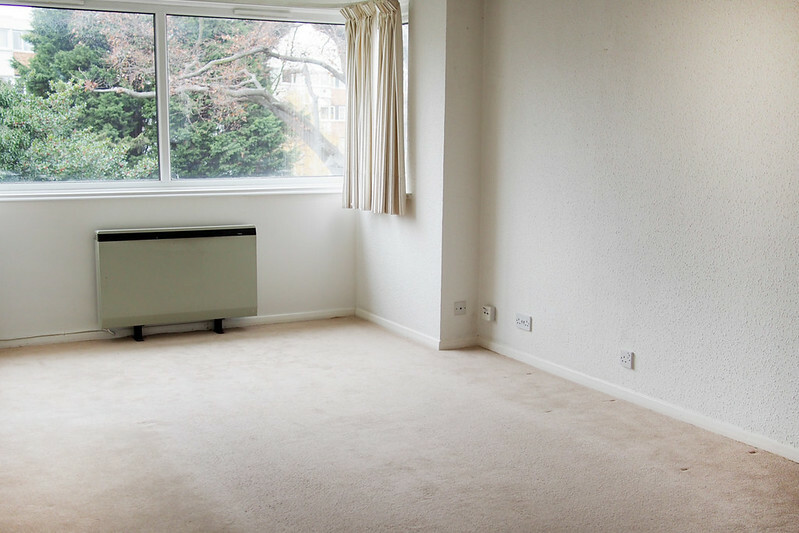 It’s a first floor flat in a low 60s block in East London. 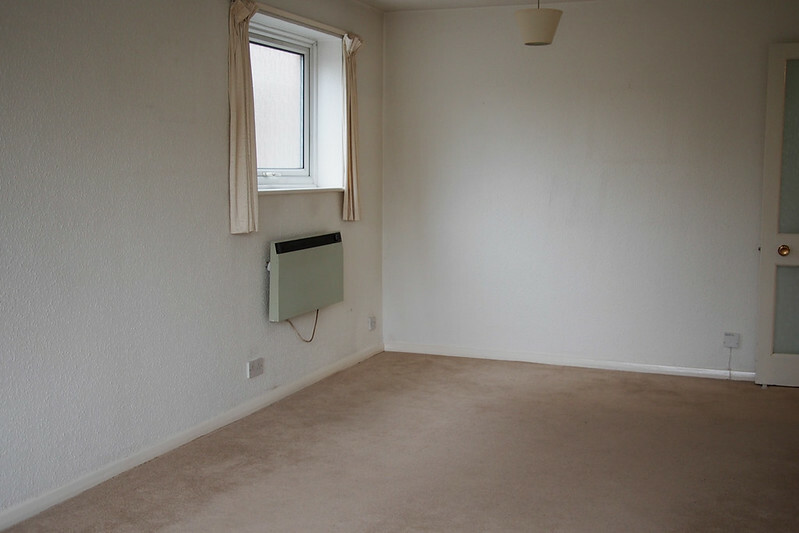 It’s light and pretty spacious, and she’s done a brilliant job decorating: it’s very ‘her’, cosy and colourful, but still in keeping with the 60s architecture. 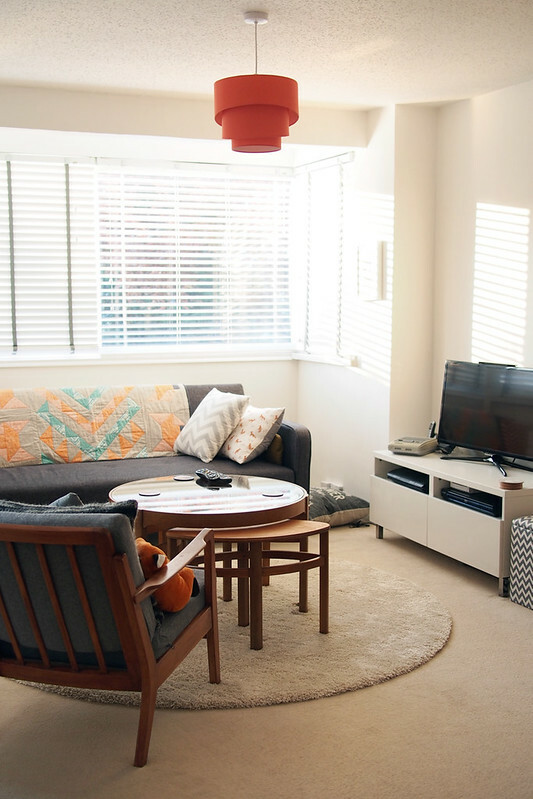 The sofa is from Made.com and do you recognise one of my old chairs? I donated it when we got a new armchair. My favourite part is the seating area in the long living room. 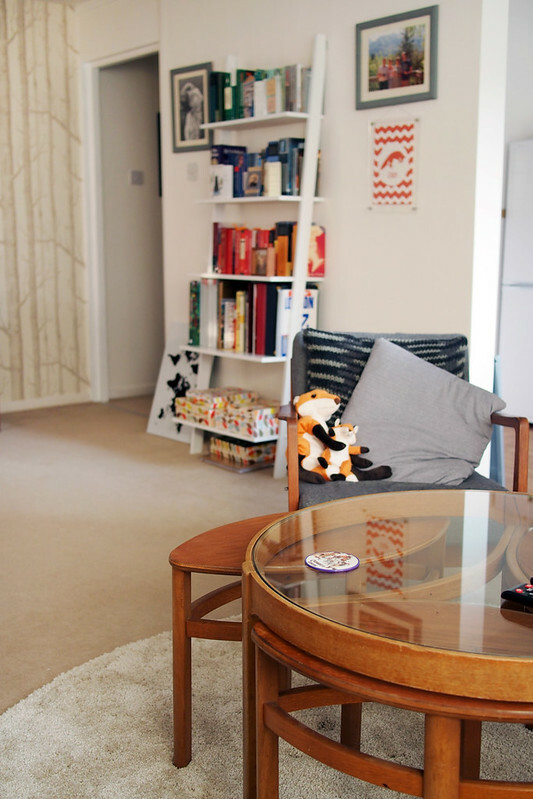 The coffee table is vintage G-plan from Past Caring on Essex Road, and the fluffy round rug is Ikea. She’s got the same ladder shelf from John Lewis as we do in our bedroom. On the far wall she used the same Cole & Sons wallpaper as our bedroom too. 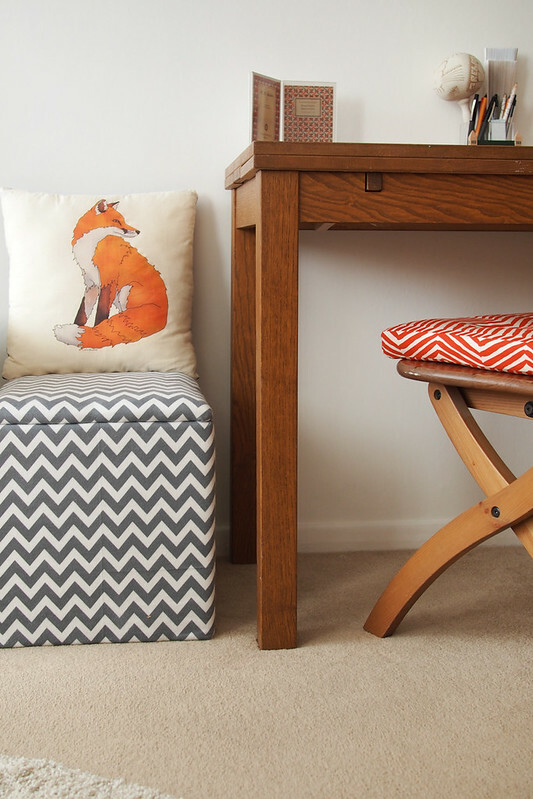 (She lived with us while the purchase was going through so picked up a few ideas – as well as hand-me-downs!) 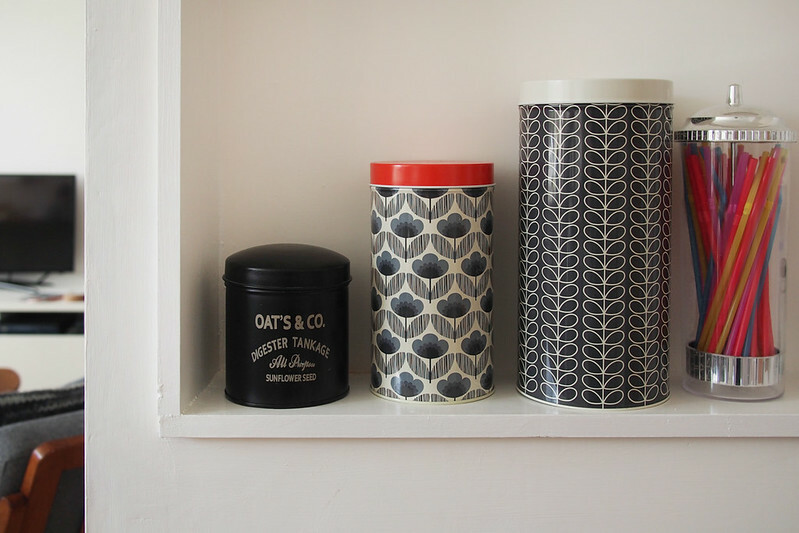 The beautiful sideboard was another great vintage find from a shop in Finsbury Park. She’s quite into foxes, can you tell? They basically informed the ‘orange and wood’ scheme. 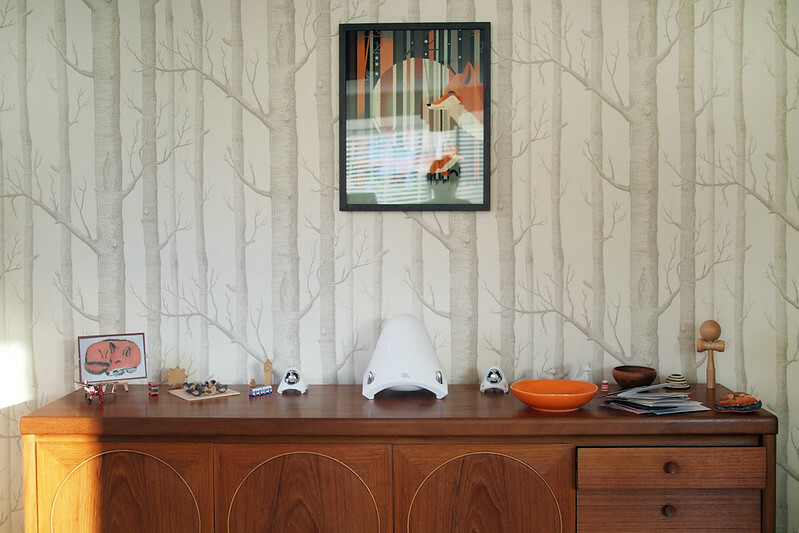 The print above the sideboard is from East End Prints and the spiral lightshade is from Wilkos. 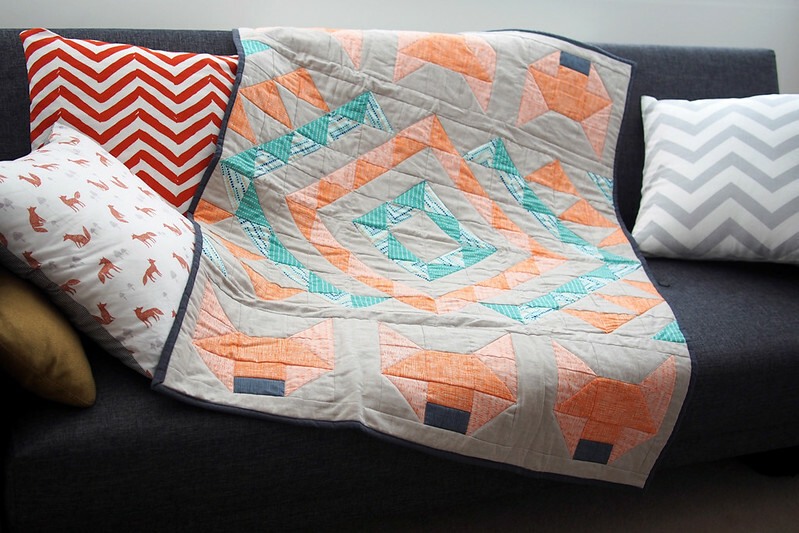 For a housewarming/birthday gift I made her this sofa throw/lap quilt, to keep up the fox theme. You can read about all the nerdy construction details if you’re interested over on my sewing blog. 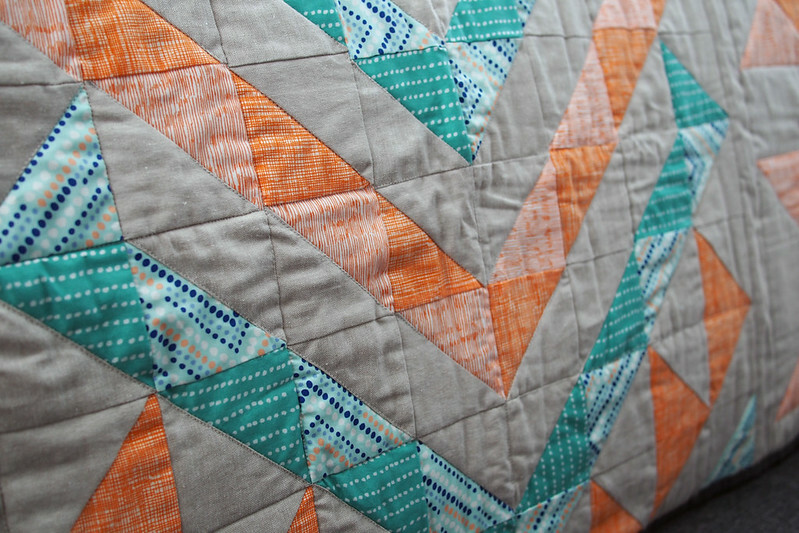 We also made that cushion using dashwood studio fabric. Luckily the kitchen was modern and in good nick so didn’t need changing. There was a hideous textured glass-panelled wall with an old-fashioned serving hatch dividing the kitchen from the living room which came down, and a breakfast bar went in. The bar was custom cut by Unto This Last and looks great. She inherited my old table and chair (Ikea) to use as a desk. 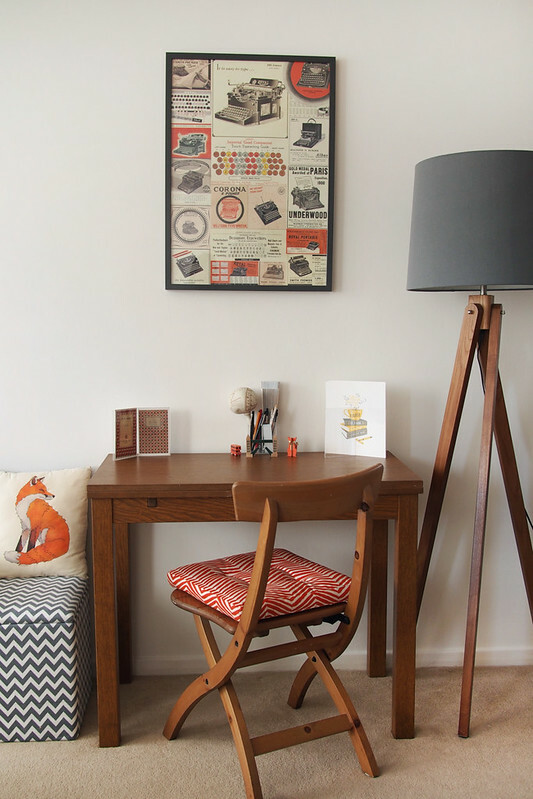 The gorgeous light is from Tu at Sainsburys, but seems to be discontinued; the typewriter print is from Paperchase. I made this storage cube for her, just by staple-gunning an old hinged-lid box with a layer of padding then flannel fabric from Plush Addict. She’s an English grad and works in a London museum, so there’s a literary and London theme throughout. 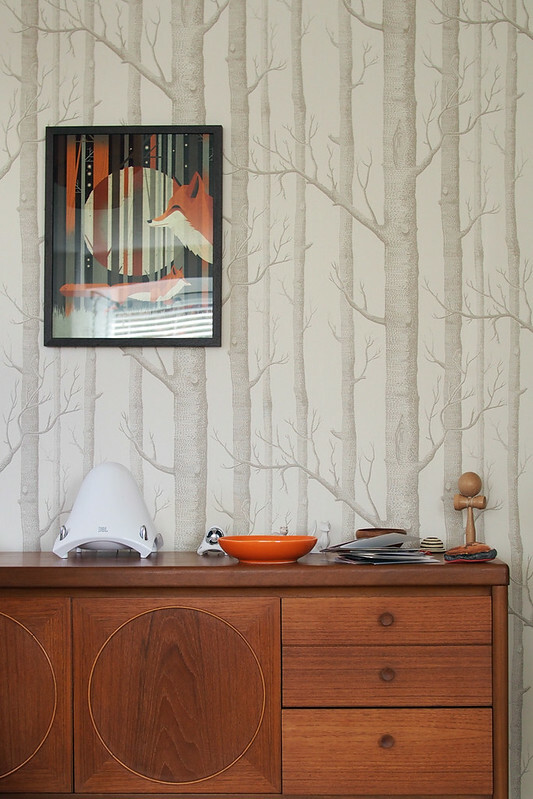 A touch of Penguin book wallpaper in the bedroom! This is the before! Scraping off the woodchip was a team effort – it took FOREVER but was definitely worth it. I’m so pleased she’s in and has made such a lovely home. It also means I have my spare room back, so next on the list is sorting out my own study/sewing space. 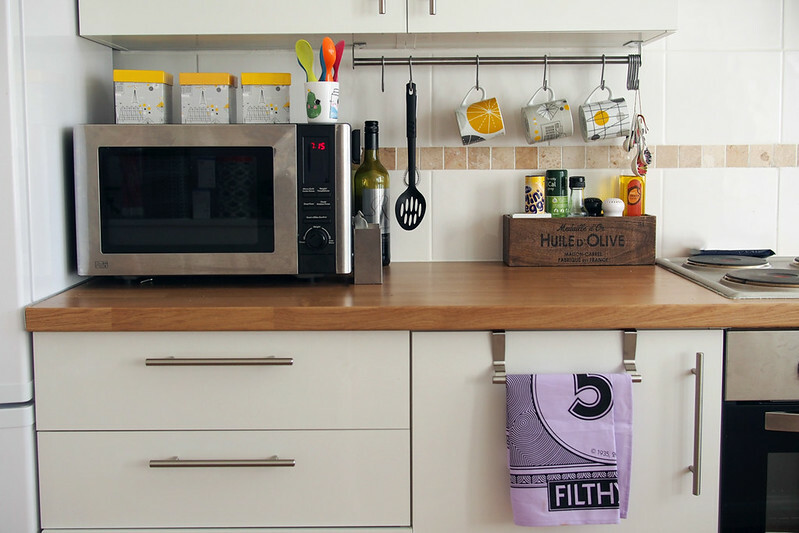 Great inspo for my current place – woodchip is the devil – definitely worth removing it though – looks great. 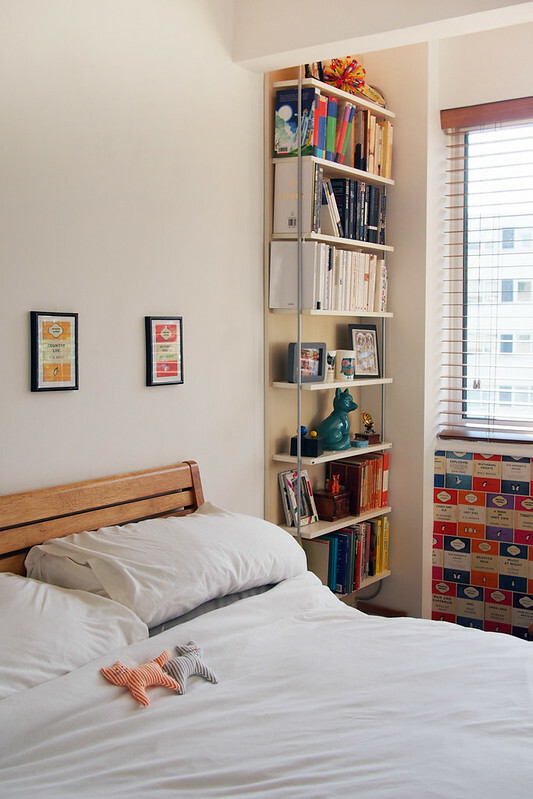 Hi, don’t suppose you know where the shelving in the bedroom is from please? Been looking for something narrow just like that! I’m afraid not, it’s really old – she pinched it from my parents’ house! Would you recommend that sofa from Made? It’s quite firm but definitely comfy! It folds out to a bed, too. I basically love everything I see here, but I want to rave about a few things! 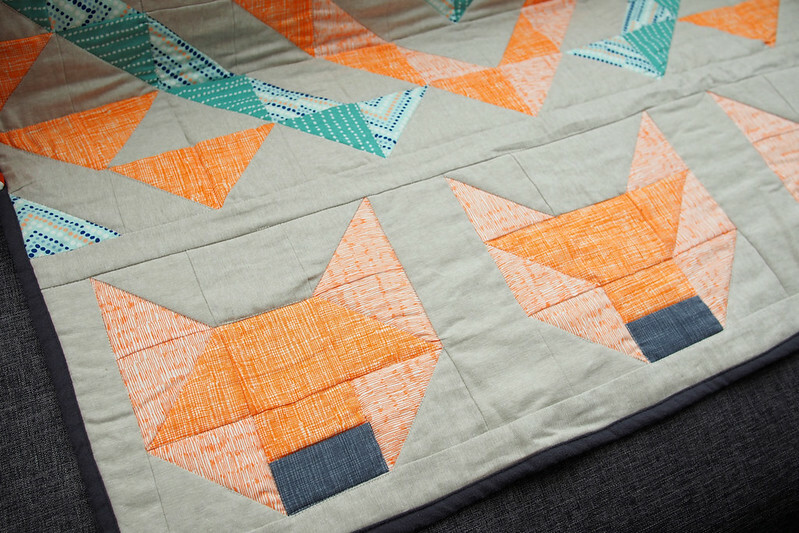 Firstly the quilt is fabulous and I love your choice of fabric for your foxes faces. 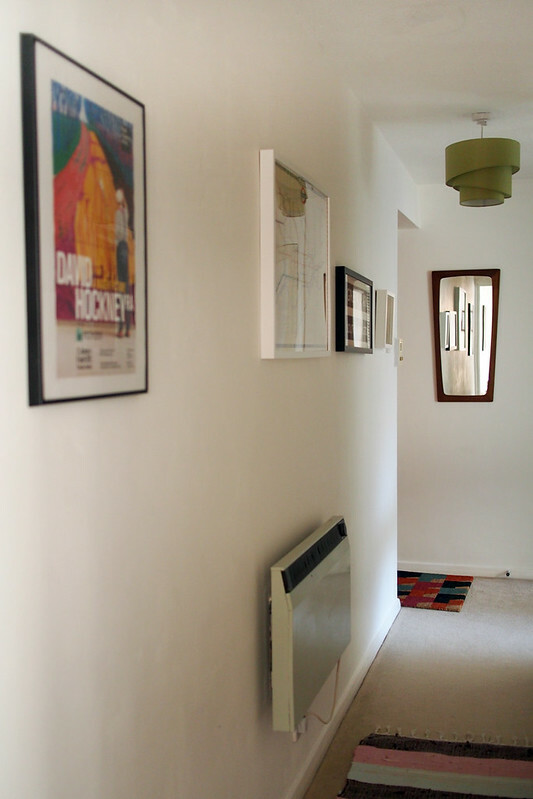 Secondly I love 60s flats, I’m sad I have never lived in one. 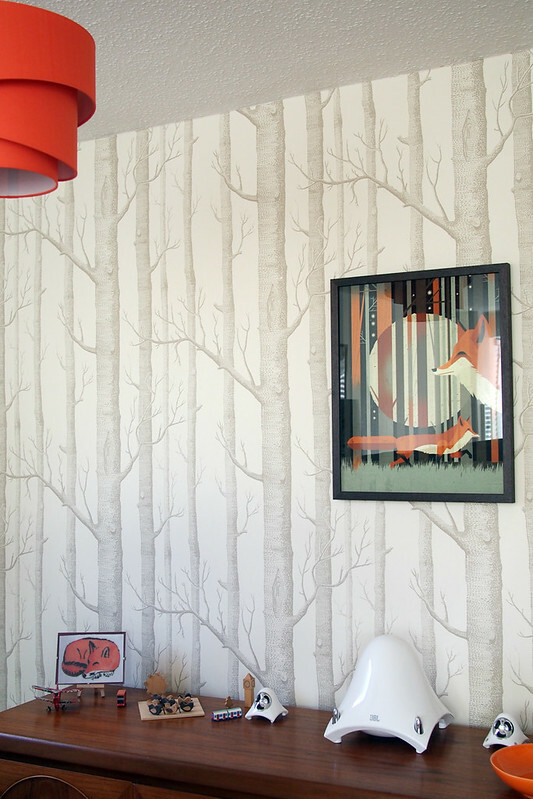 Thirdly I am considering having that tree wallpaper in our bedroom (when it’s built) and it’s great to see it on the wall of your sister’s flat! Is it ok if I have a pin fest? Thanks on all counts! Please pin away! Oh wow, it’s gorgeous! What great taste you both have. 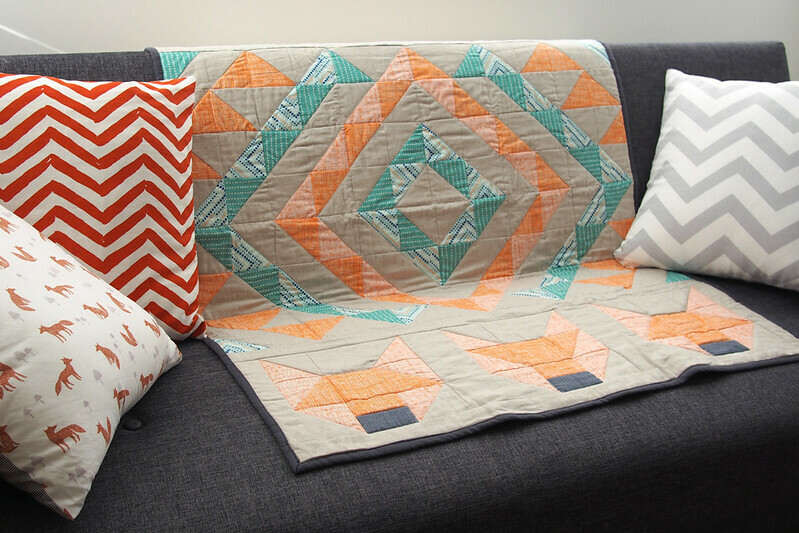 And that quilt is stunning, you clever lady! Oh my! I am in love with her place (and that quilt is amazing too). We moved into our place almost 2 years ago and I’ve been dying to redecorate for a while now and this has just inspired me so much! 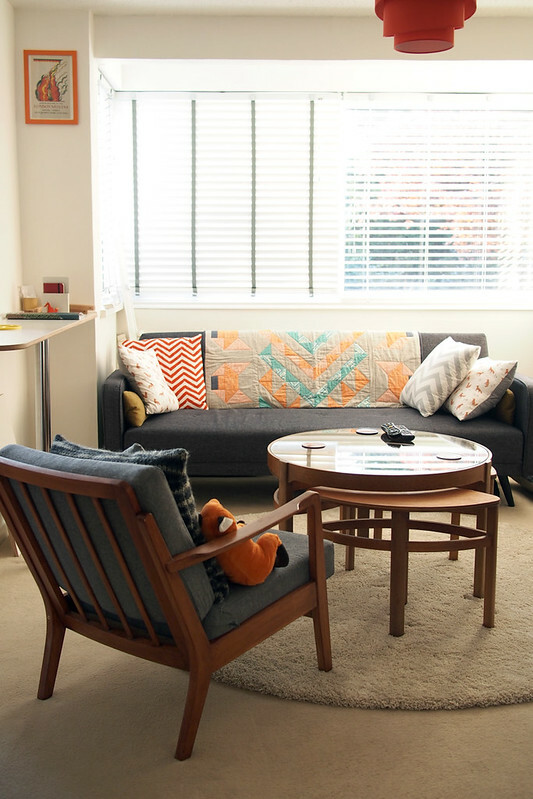 (especially the living area – I love the couch and table). 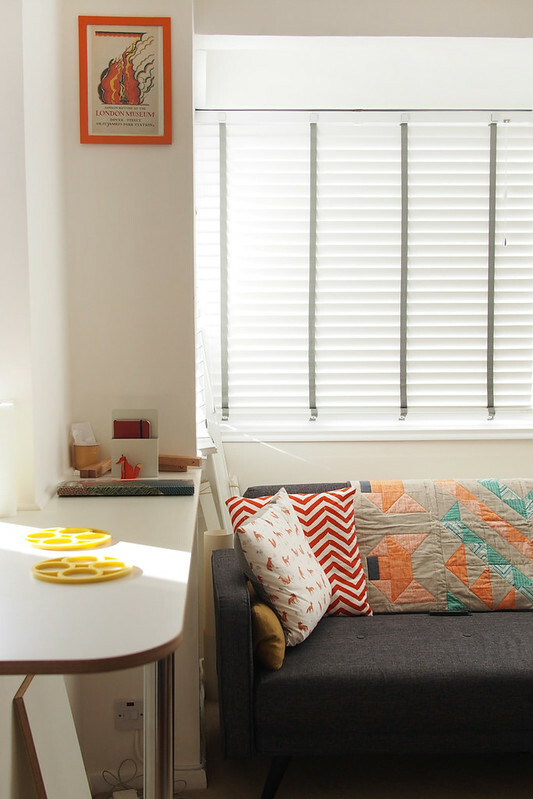 Such an amazing flat! You two have a lot of style. I love the colour scheme!